WOW – Spring is almost here! Hello my programming friends, it’s Andy Gesner and the staff here at HIP Video Promo HQ in frigid New Jersey smiling wide eyed that that warm weather is approaching and that the great indie rock videos we champion keep coming to you on a regular basis! 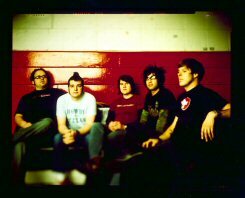 This next promotion is very exciting for us because we have been watching Motion City Soundtrack’s progress for a while and this quintet’s star is unquestionably shining very brightly in early 2004. One of the many high profile bands that make Epitaph Records their record label home, MCS is well known on the touring circuit as an affable, gutsy band with tons of tenacity. A huge break for the band came recently when they were invited to go to Europe to open for Blink 182! If it wasn’t apparent earlier, it is now crystal clear that Motion City Soundtrack have become an upbeat musical phenomenon who’s time has come! A lot seems to be happening in Minneapolis these days, and our latest offering from the Twin Cities area is MCS’s terrific new vid “The Future Freaks Me Out.”, a standout track from the critically acclaimed CD I Am The Movie. Musically, the band’s sound is polished, buoyant and visceral, owing in great part to veteran producer Ed Rose (Get Up Kids, Limbeck, Ultimate Fakebook). MCS offers a combination of catchy pop musings, while still remaining true to their indie roots. 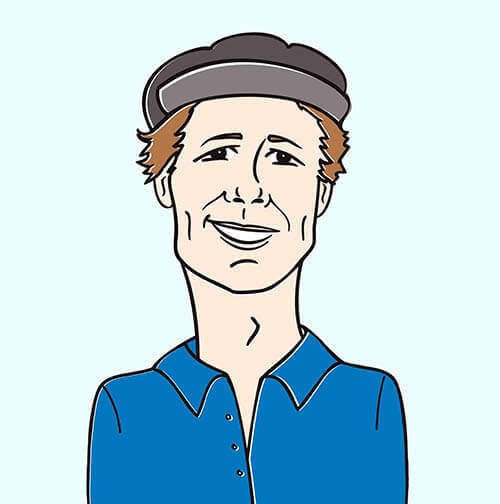 With a unique sound reminiscent of Weezer, Justin Pierre’s lyrics are witty, captivating and a timely ode to indolent daydreaming. Pierre and fellow guitarist Josh Cain interlace their playing beautifully, and Jesse Johnson provides melodic overlay with his electronic keyboard with Tony Thaxton (drums) and Matt Taylor (bass) supplying the rhythmic underpinnings. This entertaining clip, cleverly directed by Andrew Carranza and MCS, features singer-guitarist Pierre having several kinds of bad days. He starts off as a rather inebriated cowpoke slumped against a hitching post outside an Old West swinging door saloon. After arousing the suspicions of some of the barroom’s patrons, he’s unceremoniously clouted – clear into the freaky future, where he struggles as a slick haired office drone. From the various times displayed on the office clock, it seems that five o’clock will never arrive in time to preserve his sanity. Then it’s out to sea, as our hero battles a most imperfect storm in a Captain Ahab beard and bright yellow slicker – until he’s swept overboard by an ill-timed rogue wave. It should be noted that in all these little vignettes, the scenery is so cheesy it’d be an embarrassment to a Junior High School play, but it’s so OBVIOUSLY cheesy that it works. Finally, Justin is seen at his own funeral, but gets reanimated in time for the fireworks and confetti finish. Motion City Soundtrack’s new video for “The Future Freaks Me Out” deals with a topic that is of great concern for many people. How do we deal with what is in store for us in the future? Pierre wrote it brilliantly in this epic tale of a man struggling to identify with where his life is headed. Throughout the video you will see a band trying to live their lives in a sort of care free manner, while fighting off the evil 9-5, impending future, and eventually, in the end, death. All of this is done in a light cheery manner which makes the video a fun one to watch – with Pierre’s lyrical sentiment engaging throughout. In a recent interview he mentioned his admiration for such diverse lyricists as Tom Waits, Ben Folds, and Tim Kasher (Cursive). The songs on the debut CD, I Am The Movie demonstrate clearly that Pierre is worthy of mention in the same breath. We are going for adds for “The Future Freaks Me Out” in the second half of February and we have tickets to see Motion City Soundtrack as they tour across the country once they get home from touring in Europe with Blink 182. Call Andy Gesner at 732-613-1779 or you can e-mail HIPVideo@aol.com for more info, and if any programmer wants to do an interview with the band and get video IDs, get in touch and HIP Video can set it up! MCS are all about being on your show! They are very proud of this video and want to make sure all your Motion City Soundtrack needs are met in a timely fashion. For more info, visit www.motioncitysoundtrack.com.